LifestyleDid You Know Thousands of Rural Mail Carriers Count Wildlife? Did You Know Thousands of Rural Mail Carriers Count Wildlife? Sure they deliver your mail, but some mail carriers also count wildlife. Here’s how the postal service helps determine long-term population trends of bird species. Depending on where you call home, your mail carrier might be doing much more than leaving you bills or multiple boxes from your latest Amazon splurge. For 15 years Kathy Short, a veteran mail carrier, drove 68 miles across Kentucky, from Cave City to along the edge of Mammoth Cave National Park, delivering mail. It was a pretty standard job … except for several days each year. On those days, Short volunteered for Kentucky’s annual Rural Mail Carrier Survey. So each year, she reported how many northern bobwhite quail and cottontail rabbits were spotted on her mail route. Audubon.org says the survey started in Kentucky in 1960 and is “A crucial tool for the wildlife agency to track populations of these two game species.” More than 700 mail carriers volunteer each year. “It gives you a chance to pay attention to the beauty around you,” Short told Audubon. Are others doing these surveys? Absolutely. Audubon reports at least five states, including Wisconsin and Nebraska, have its own surveys. 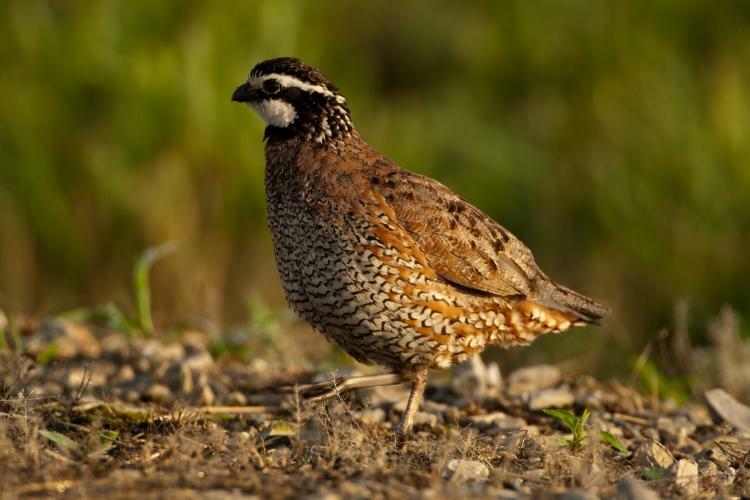 Wisconsin keeps things pretty simple: its mail carriers count Ring-necked Pheasants for three consecutive mornings each year in late April. Nebraska, on the other hand, was the first of any state to initiate a citizen-scientist survey of this kind. The state also has the most complex survey of any state. How does the survey work? Pheasants, and all other species used for surveys, are easy to spot from the road. And in rural areas, mail carriers frequent seldom-traveled roads more often than other motorists. Plus, there's strength in numbers. Mail carriers can cover more ground than wildlife biologists. Each survey, regardless of species or state, works the same. Wildlife departments send local postmasters survey cards. After tallying how many of each targeted species the postmaster sees, he or she mails it back. Using the tally combined with a map of the postal route, scientists estimate a species’ prevalence. And does the survey work? Yes and no. It’s not as reliable as a formal wildlife census, Audubon reports, but it’s also not meant to serve that purpose. The surveys are called a “population index,” meaning it’s just an estimate. Still, these indexes have great value to wildlife biologists and other researchers, who often combine them with other data. “We can still gather a lot of information about what the population is doing,” Kentucky state small-game biologist Cody Rhoden told Audubon. Like any survey, there are strengths and weaknesses. With each survey lasting only a few days, something as unpredictable like the weather could change the results. With that in mind, counts can vary from year to year. However, even skewed data is helpful when determining long-term population trends.